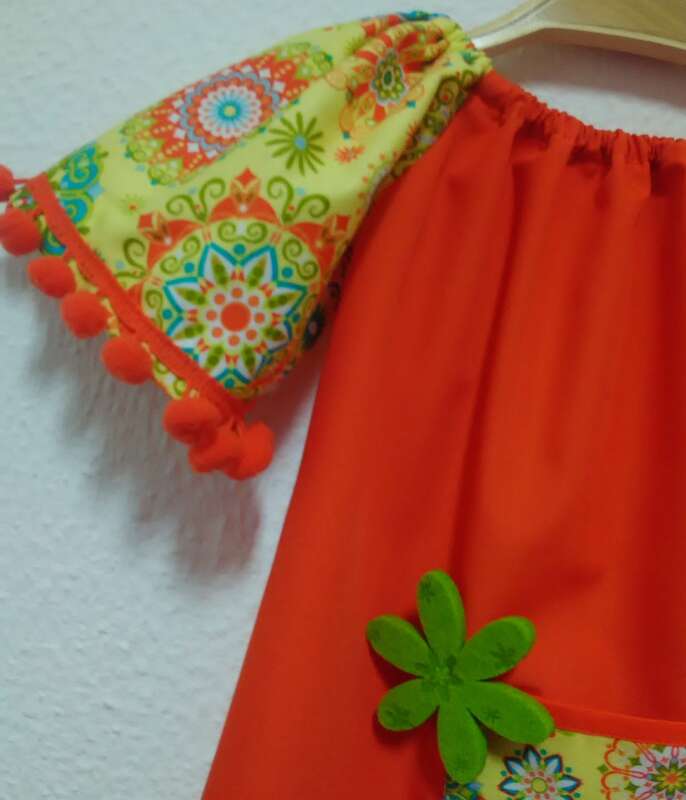 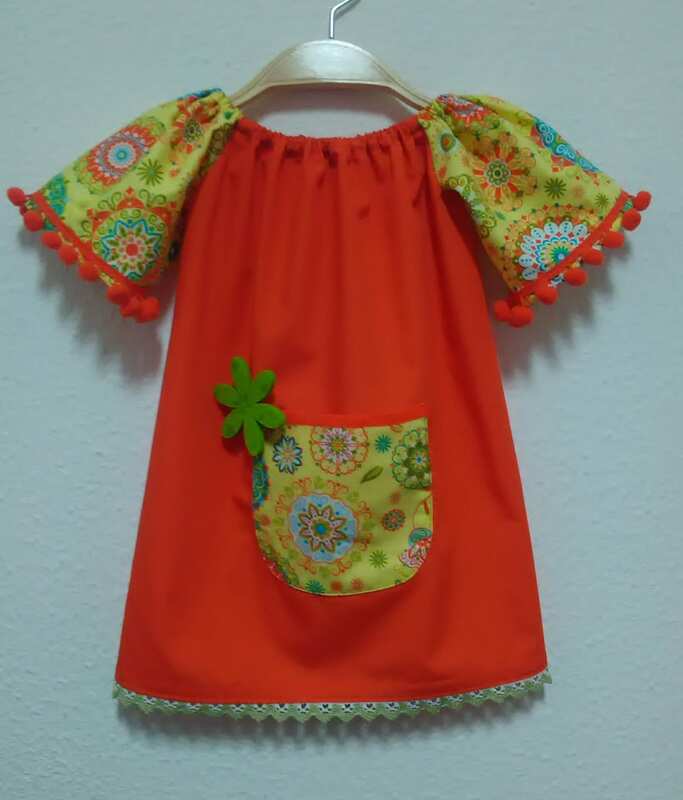 Girl dress in orange and green tones, cotton fabric, orange background, pocket and sleeves in printed fabric. 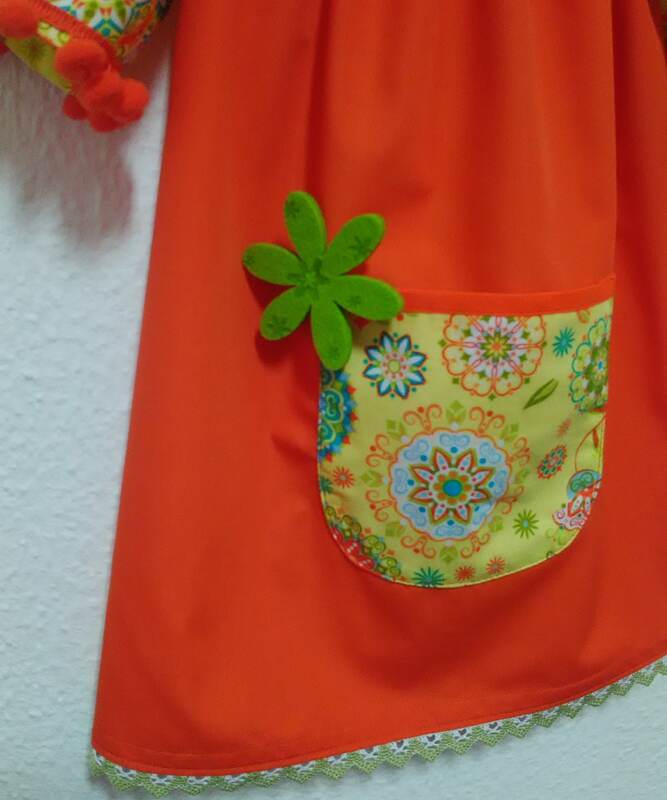 With applications of cotton lace, pon-pon and felt. 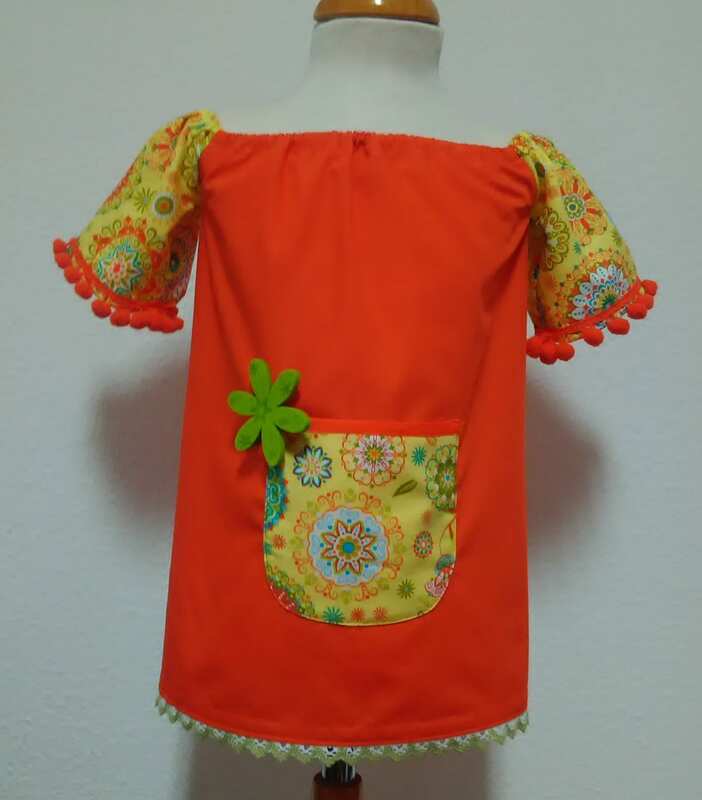 With elastic on the neckline.